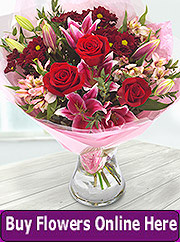 All fresh flowers and foliage require some initial care and coditioning before being used by the florist. 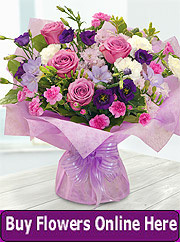 Indeed it is essential if flower arrangements are to last for any time at all. When a flower stem has been harvested, i.e. cut from the parent plant, the cut surface starts to dry out in an attempt to to form a seal to prevent water loss. However the residual water in the stem continues to be lost through the surface area of the stem and the leaves. Therefore it is crucially important to take steps to ensure that the cut materials absorb as much water as possible to avoid dehydration and wilting. Provided that the flowers have not been allowed to dry out for too long, the point when irreparable damage has been to the internal cell structure, any shock to the flowers caused during harvesting can be reversed. All cut materials should be put in water as soon as possible. Different plants have different tolerance levels which largely depends upon how thick and fleshy the stems, leaves and petals are. Good examples inlude orchids and tulips of fleshy plants that have greater stores of liquid. 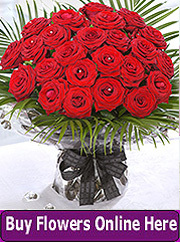 Thinner and more paper-like leaves of flowers such as roses are far less efficient at retaining moisture. 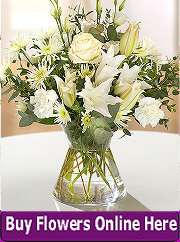 Ironically the water that the flowers stand in can also become a source of reduced vase life. Decomposing vegetable matter promotes bacterial growth in the water and as the water becomes greener the flower stem is less able to take up water through the stem. 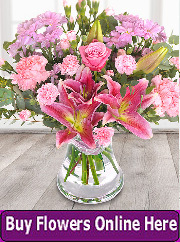 Changing the water regularly helps however cut flower food usually contains an antibacterial compound that also helps to maintain the purity of the water and provides soluble nutrients thereby lengthening the life of the cut flowers. For long term displays the water in the diplay container should be changed every few days. Containers that are repeatedly used for floral displays should be sanitised regularly with hot water and bleach (rinse thoroughly afterwards). Ethylene gas that is a product of plant decomposition can also be a hidden danger to flower displays. It has no smell but even in small quantities it call significantly reduce the lives of cut flowers. Carnations and roses are particularly prone to this and ethylene damage manifest itself as general wilting in what are otherwise well-conditioned blooms. Another source of ethylene may be the apparently innocuous fruit bowl. Flowers should not be placed in the same vicinity as fruit and good ventilation to help any build up of ethylene to dissapate. In general it is best to use water that is at room temperature although, in some circumstances, lukewarm water may aid the intake of water as it holds less air than cooler water. Very cold water should be avoided.